Be it travel logisitics or securing educational, outreach and exchange opportunities, Classical Movements was directly involved in every single aspect of the Minnesota Orchestra’s historic 2015 tour of Cuba. Minnesota’s first tour to the island nation in 85 years (and the first major American orchestra to perform on the “Pearl of the Antilles” in over 15 years), this landmark tour featured several life-changing exchanges—for both Cuban student musicians, as well as the pros from Minneapolis. 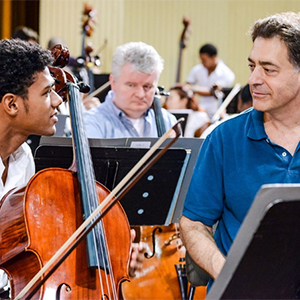 At the Escuela Nacional de Música, Cuba’s national music high school, Minnesota Orchestra strings, winds, brass and percussion conducted masterclasses, coached chamber groups and performed side-by-side in a special, two-hour concert. 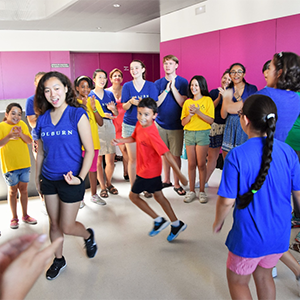 The Colburn Children’s Choir’s 2016 Iberian tour (their third with Classical Movements) was highlighted by three workshops and concerts with Spanish youth choruses in Seville, Granada and Madrid. Perhaps the most successful of these was in Seville, where CCC’s full day with Coro Meridianos, a choir of children from surrounding at-risk neighborhoods, started off with some sightseeing, broke briefly for a delicious group lunch and ended with a sold-out performance—all well-documented by Sevillanos print, TV and online media. 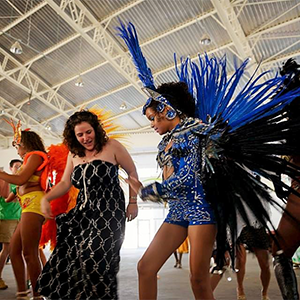 As a specialist in orchestra and choir tours to Brazil since 1997, Classical Movements has arranged visits to many of the country’s most famous samba schools, including the celebrated Mocidade Independente de Padre Miguel on Rio de Janeiro’s Rua Coronel Tamarindo, for some 30 different clients, totaling more than 1,500 people. Interested in more information about our Exchanges?